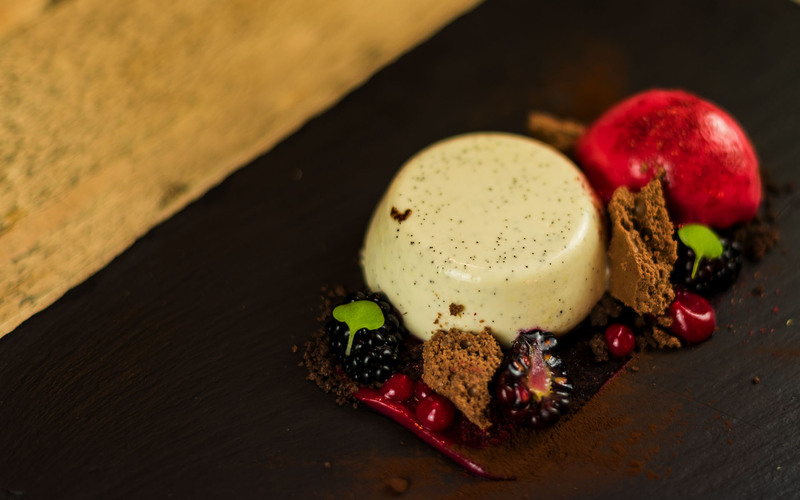 Using local fresh produce, Brasserie 23’s award winning dining experience combines the best of British restaurant tradition with a contemporary vibe. Head Chef, Brett Rollings serves up sensational food in Spratton, using locally sourced seasonal ingredients from across Northamptonshire. 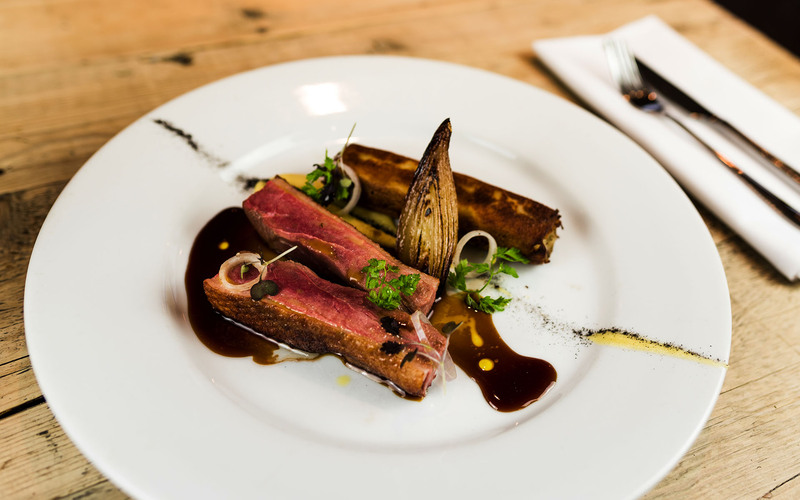 Complimented by a sophisticated and comprehensive wine list, choice of real ales and lagers, our menu will excite your taste buds and provide a memorable, first class fine dining experience. At Brasserie 23 our team of talented chefs prepare every dish from scratch using only the freshest, Northamptonshire ingredients. We believe in sourcing the finest local produce available from our trusted suppliers. 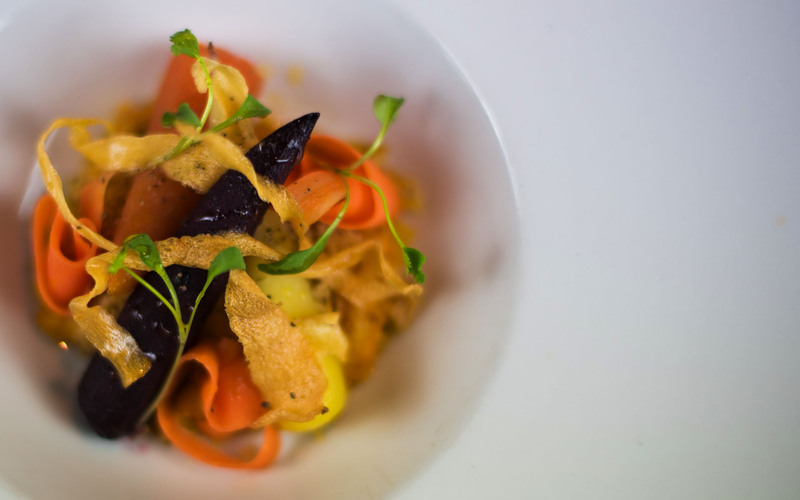 Our menus are always designed to deliver dishes that make the most of these amazing seasonal ingredients. Just had Sunday dinner here awesome, the roast beef is the best I have ever had, melted in your mouth cooked to perfection. Followed by a wonderful lemon dessert. Will definitely visit again, staff were lovely extremely friendly, thank you so much. Thoroughly enjoyed my evening with friends at the Kings Head. The pub is beautifully set out. The staff are polite and very helpful. I had the venison burger which was very tasty and beautifully cooked. The kings head is very accommodating for young children too. My partner and I came here for a Sunday treat. I had the beef and he had the chicken and its was stunning! The staff were wonderful and the atmosphere was bouncing. I am so happy I have this little place near home - just savings the pennies now for our next treat, See you soon! Came here for the first time on Friday and had a lovely meal! Well presented, quirky menu. Smiley staff. Great wine. Friendly atmosphere. Will definitely be back! Four years in a row we have made our way from Canada to Northampton to see our elderly mother and can honestly say we have had but one good meal out, until today. We took our cousin and her family for lunch expecting much of the same fare as other pubs and were pleasantly surprised. It was conveniently close to where we were staying. Parking in rear of the pub. Atmosphere pleasant. Waiting staff were good, even though they were short-handed. Prices reasonable and best of all, the food was very good. Nice variety of entrees to choose from. We both had the beef with mushrooms on a nice thick slice of bread. Beef Juice/gravy was given upon request. Our guests had the local sausage plate and ploughman’s lunch. The little one opted for the hamburger, and they said they really enjoyed their meals. They had never been and vowed to return. Highly recommend this establishment. Wish we found it before but also hope to return before leaving for Canada. Oh and as our rhubarb wasn’t quite ready for picking back in Canada, we chose the rhubarb crumble for dessert. Very nice! Finally a good meal in Northampton! A genuine, warm welcome. And a very pleasant outdoor seating area. Inside is quirky and chic. The staff are friendly and knowledgeable. The food was outstanding – with great veggie options. Never been before. Will definitely be back. Can't wait to head back. A hidden gem in the Northampton countryside where there are so few good restaurants. Really good variety on the menu. Dishes very well prepared and presented. Friendly professional staff. Well worth a visit. Compliments to the chef and the welcoming staff at the King’s Head, Spratton. After a difficult decision as to what to have for lunch I chose the ham hock terrine. It was to die for- the poached eggs nestled on top were perfectly done and the chunky chips were divine! Who’d have thought ham, egg and chips could look so attractive and taste so good! I will be back with my friend to try the some of the other dishes and a dessert we didn’t have time for today! Outstanding! What a fantastic twist on ham, egg and chips! What a great find! Lovely, welcoming pub with the best food we have had in a long time in rural England. Situated in picturesque Spratton. Nice unobtrusive service. Good range of food and drinks choices. An imaginative menu. All the traditional fare but with a modern approach. Food served promptly, piping hot and nicely plated up. Good portion sizes and great quality ingredients. Children well catered for too. Some steps to negotiate in the bistro so may not suit everyone. I noticed they have a cafe too (which is closed on Sundays). Nice washrooms too (with top class soap/ hand cream). Very impressed and will be returning soon. 4 separate families, totaling 14 had driven 1 - 2 hours to meet up at the Kings Head at Spratton and we were not disappointed. We had a lovely Sunday lunch in a very relaxed atmosphere in the private dining area. We were all able to sit around a large table, which meant we could all chat and thoroughly our lunch and get together. The staff got the balance just right, they were very attentive, but didn't intrude on our gathering. I would highly recommend The Kings Head and we look forward to another fabulous meal in the future. Great place, very good mussels, wonderful atmosphere and great service. Really enjoyed it, definitely coming back! I don’t give 5 stars readily, but we really had a superb lunch. The menu is not extensive which is a plus in my book, but there was enough choice for a wide variety of tastes. We had the best ham, eggs and chips we have ever had. It was a very upmarket version and perfectly cooked and presented. Crispy ham hock topped with perfect poached eggs and delicious potato wedges. The deserts were scrumptious. My warm chocolate mousse was outstanding. The decor, ambience and service were beyond criticism. We had drinks to start, main course, deserts and coffee, the total bill came to £52. We have paid a lot more for a lot less. Dinner would probably be more on the expensive end if the market. Beautiful food very well presented. Very relaxed, comfortable environment. Staff friendly, great service. Overall, wonderful experience. Would definitely return. Haven’t been here for ages and so a Sunday lunch was suggested by the family and was a perfect idea. Superb starters all different and tasty, including courgette flowers ,prawn pil pil and a liver parfait on a waffle with blueberries and all pretty on the plate ......where do you get that variety of starters in the county? Superb pink beef and fresh tasty cod and we were all happy campers. The brasserie is in the final of best restaurant in Northamptonshire and I love the fact they don’t promote themselves it’s just word of mouth. None of the chefs are going for an award which is a shame they are great. Jo the manager greeted us like old friends and delivers a warm efficient service and there is also a good wine list to boot. What is there not to like, this place consistently serves delicious fresh lovely food while many competitors keep re heating frozen. I wish we had more places like this. Went for dinner last night (Saturday) and had mentioned at time of booking that I would like a vegan meal. I had starter, main course and dessert all 3 were amazing and inventive, instead of the normal non-meat choice you get elsewhere. Artichoke soup followed guinea fowl with cabbage, bacon and mash in a fabulous gravy... knock out. Result troops happy... seek this one out. Nice and special without being fussy, lovely atmosphere. The food was excellent. I had the fish and chips which was superb (their mushy peas have changed my perception), my wife had the burger which was also delicious. Well done Brasserie23 @ The Kings Head. We’ve been here several times and on each occasion it never fails to deliver. Tucked away in a small Northamptonshire village of Spratton is a true jewel in the Crown of high class bistro style/artistic eatery. The chips were absolute heaven. Visited on Sunday, Mother’s Day, so I expected it to be busy...it was, always a good sign! From start to finish the whole thing was exceptional! Attentive, polite and friendly staff, especially Jo the manager! We had 3 courses, and all were sublime! The Sunday lunch Lamb was probably the best I’ve tasted anywhere, and I eat a lot!! Given the quality and presentation of the food, £29.95 for 3 courses was worth every penny! Can’t recommend this place highly enough, whether it’s visiting as a couple, with friends or the whole family! We had the most fantastic lunch for my son’s Christening party of 30. Nothing was too much trouble. The roast beef was rare and absolutely superb so much so that all the guests commented on how delicious it was. The service was second to none and added to what was a very special day for our family. Thank you very much to Jo and the team at the Kings Head. Cannot recommend enough. I have been several times. The Kings Head serve the best Sunday roasts in Northamptonshire. The service and food quality are both excellent. Very good all round will definitely visit again. Lovely lunch well served - thoroughly enjoyable!